Calgary, by most historical standards, is a relatively young city. However, its short history is rich and colorful. The beginning of Calgary traces its origin to the deployment of F Troop, of the North West Mounted Police, from Fort MacLeod, to the confluence of the Bow River and the Elbow (Swift) River. In late August of 1875, under the direction of the I.G. Baker Company, F Troop constructed what was first known as Fort Brisebois, shortly to become known as Fort Calgary. By 1884, Calgary had been incorporated as a town in the Northwest Territories, and had become a central hub, on the soon to be completed, national rail line. 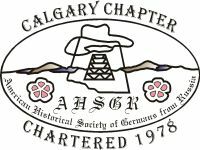 About 1892, the first German-Russian settlers begin to arrive in the Calgary area. Some take farm land around Calgary, while others begin to settle on the north side of the Bow River, just across from the Town of Calgary. This area, now known as Riverside and Bridgeland, was in its earliest days referred to as Germantown. It was in 1910 that this area was annexed, into the now City of Calgary (1894). It's told that many German-Russian families, destined for other locations in Alberta, while stopped for transfers at the Calgary train station, were told of those families who settled north of the river. For many, that would become their final destination. These early families in Alberta, comprised the next largest ethnic group, next only to the various British segments. Amongst the early marriages, are those between the early pioneer families, of largely British origin, and the early German-Russian families. The intervening years, from then until the present, has continued to see settlement of these German-Russian families. The numbers vary considerably by time period - but still they come. Our people have played an often little known, though still important role, in the development and progress of Calgary, and Alberta, that has seldom been openly recognized. A more serious exploration of the local histories, of Calgary and Alberta, provides a broader understanding of how our people have become interwoven into the fabric of society. At all levels, and in all functions, can be found the descendants of the original settlers, and those who continue to come. 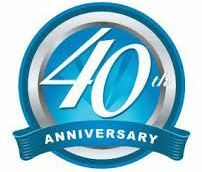 In a little over 125 years, Calgary has grown from about 50 in number, to nearly 900,000 individuals. As we become assimilated into the broader community, our society strives to preserve this history; of the families, of the culture, and the heritage of these hardy and adaptable people.